So much has already been written about the murder of an unarmed teenager by the Police in Ferguson, Missouri, on August 9, 2014. Somuchhas been written about Police brutality and Police killings of civilians, that I hesitated to start this piece. What’s the point? Who cares if yet another Blackmanis killed by Police or some other trigger-happy White-privilege man, looking to prove he is a REAL man? Who will read this and all the other articles and listen to the anguish of people who live under constant terror of Police? How will anything change in Police behavior? Yet, our collective silence is the poison that fills our very air and hurts more and more of us as the Police…our servants, paid for by OUR money and supposedly, to protect us…grow into monsters who openly defy attempts to control their behavior. Even the politicians…people who we elect, to help keep the peace and also to control the Police, are generally products of White privilege and those who aren’t, seem so desperate to appear “moderate” that they can hardly say anything meaningful, let alone, do anything meaningful. There is a National Law Enforcement Officers’ Memorialin Washington DC where the names of every law enforcement officer whois killed while on duty,is inscribed, at last count, there were over 12,000 names on this wall. Many states have their own state law enforcement officer’s memorials as well. There are no records of the thousands of civilians killed by the Police, many, just innocent civilians in the wrong place at the wrong time. When four officers were killed by a man in Tacoma area, over 20,00 people, including civilians, attended their funeral service in the Tacoma Dome with more than 150 agencies represented from the US AND Canada. Yet, when an innocent civilian is killed by an over-eager cop, instead of apologies, there are crude cover-up attempts and finally, when there is no room left for the Police to hide in, a muttered note of regret is all people get; no members of the Police ever attend those funerals. Uncountable (and uncounted) people are killed by the Police and listed as “Suicide-by-Cop” and there the matter is buried…literally. This latest story of a man killed by the Police in Ferguson (after theteenagerwas killed) shows clearly, how the Police “explain” the facts of killing yet another Angry Black Man (“Suicide-by-Cop”). Watch the attached video and note how the Police spokesperson explains that the man was going after a cop with a knifeandwas shot to death (NINE shots!) only when he was within three feet of his Police target…then watch as the video continues and shows what actually happened. Noteworthy too, is the fact that this Police department has less than 6% Black officers in a town where 66% of the population is African American…yet, they found a Black cop to stand behind the spokesperson for the cameras. This is all part of the growing glorification of Police and the sense of impunity that the Police enjoys in this country. Police Unions, using the fancy euphemism of “Police Guild”, extort concessions from cities that offer more immunity to the Police than is enjoyed by civilians, they have forced in laws and regulations which allow them to pass freely from one Police department to another, leaving trails of misconduct and murder, without ever being challenged, charged or, tried for their crimes. To be sure, Police officers are regularly tried for crimes such as drug-dealing and assisting crime, but crimes against civilians, such as murders or plain brutality, seldom rise to even disciplinary action against the cop. When local First Nations woodcarver, John T Williams was shot four times and killed for simply walking on the streets of Seattle that was a huge fuss by the people of Seattle and environs. Seattle Police department sprang into defensive action, at first leaking a story of how Williams was trailing a young woman with a stroller, then, how Williamsappearedto be crossing the street towards OfficerIanBirk, with a large knife in his hands and did not respond to commands to stop. Eventually, it was found that Williams was simply walking on the street with his closed and legal, 4-inch carving knife and the officer assumed this minoritypersonmust be a potential murderer. The disparity is clear when one sees White men strutting around openly with a gun in their holster as their God-given right and no cop ever challenges them, but a dark fellow driving in the wrong neighborhood, ispresumedto be a criminal until he proveshimselfto be innocent. When the matter finally came to the point of an investigation, the officer who shot Williams resigned and by Police Union contract, the matter was closed. I discovered later, that if an officer is fired for misconduct, he can no longer work for any Washington State Police department…BUT…if he resigns, the case is closed and he can get a job at any other Police department immediately. Everyone is rather coy as to Ian Birk’s latest job or whereabouts, nobody seems to have a list of State-wide Police officers, even though, they are sworn and licensed for Police duty. 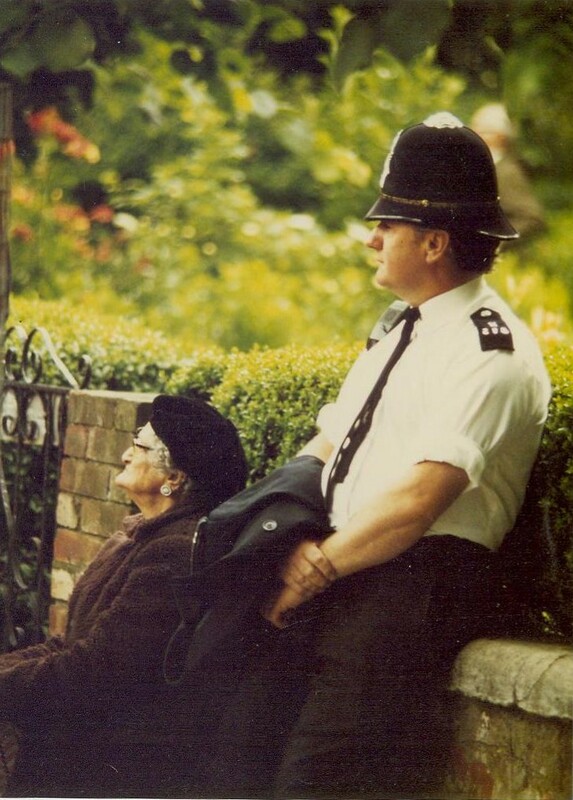 Our Police officers generally start their careers as decent and sincere people who like to look after the public and want to help stop crime. Then there are treated to militaristic combat training, they are hammered into a “team” that holds every member of the Force as sacred, they are taught that each and every one of them, must stand behind and defend other officers, protect them, not only from physical attacks, but any challenges or charges of wrong-doing. The so-called “Blue Wall of Silence” is a product of Group-Think where everyone who is not a Police officer, is regarded with suspicion and no officer is thought of as over-zealous if s-he kills, maims, beats or, falsely incriminates a civilian. This false sense of “Team” overrides law, justice and morality; “Officer protection” is everything. Naturally, this “team” and Group-Think leads to powerful unions (“Guilds”) that wield so much power that cities avoid confronting them if at all possible. As a result, Police Union contracts with their cities, are often plush documents that allow for more protection for bad cops than any law would permit. If a civilian should commit murder or, violence against another, s-he can be assured they will be immediately arrested, charged and taken to jail, from where they will be taken to a trial and sentenced to an appropriate term in jail. Should a police officer have done the same, s-he will be allowed 48 hours of freedom in which they can confer (collude?) with each other and come forward with a single story. Police is allowed any use of force if they say they thought they or another person was or, could have been, in danger from a potential attacker. Generally, this means a severe beating by several officers or being shot to death…or both! Specifically, a Police officer may proceed on the path of the “Force Continuum” and finally, kill their target. This means, all a cop needs to do is shout “Stop!” and “Get on the Ground” three times before they may open fire. Once they open fire, they are trained not to shoot to wound, but to shoot to “Stop” the person, by aiming for the chest, head and groin. Why these areas? Well, the first bullet should hit the heart and kill the man, the second should burst through his head and kill the man and the groin shot should rip open the femoral artery and kill the man. They are trained to not simply put one bullet where it may disable the person, but as many bullets as they can squeeze out. Michael Brown, the Black Ferguson teen, was shot six times. The second Black man expressing his rage at the Police in Ferguson, was shot nine times. In 1999 another Black man (Amadou Diallo) was accosted by four New York plainclothes police officers and shot 41 times. All and ONLY, because they were Black. One has to wonder, how is it that these Police officers are able to pump a dozen bullets in the head and heart, but cannot seem to target the “attacker’s” legs with even a single shot? When asked, the standard and apparently well-rehearsed response by the Police, is, “Have you ever tried to shoot at this (waving an arm) while it is moving?” No, but I am pretty sure a trained Police officer can hit someone’s leg even when the person is approaching at full speed. Besides, most civilians who are killed by Police, even in “Suicide-by-cop” cases, are not moving so fast that a Police officer cannot first shoot at the person’s legs. American Police officers have been trained as if they were an occupation force in combat, it is not unusual to hear a police officer refer to his beat as a “War Zone”. Stop to think a moment. A “War zone” implies that everyone out there is “the Enemy” who will kill you on sight. No wonder Police officers finger their guns whenever they approach civilians and small wonder that a mouthy civilian, especially if he is Black, ends up shot to death in a “War zone” encounter with The Enemy! These Police officers are so on edge, that their adrenaline shoots up in any encounter in which they feel they may be losing control. Officers scream their commands at civilians and demand immediate compliance…or death! During one of the demonstrations at Ferguson, Missouri, one officer got so agitated because people were taking pictures of the demonstration and of the Police that he pointed his automatic rifle at civilians and said, “I will F***ing kill you!” when a senior officer led him away. Theofficerwas suspended, supposedly for pointing his gun at civilians, but in reality, thescenewas covered by so many cameras that some actionhadto be seen as being taken. 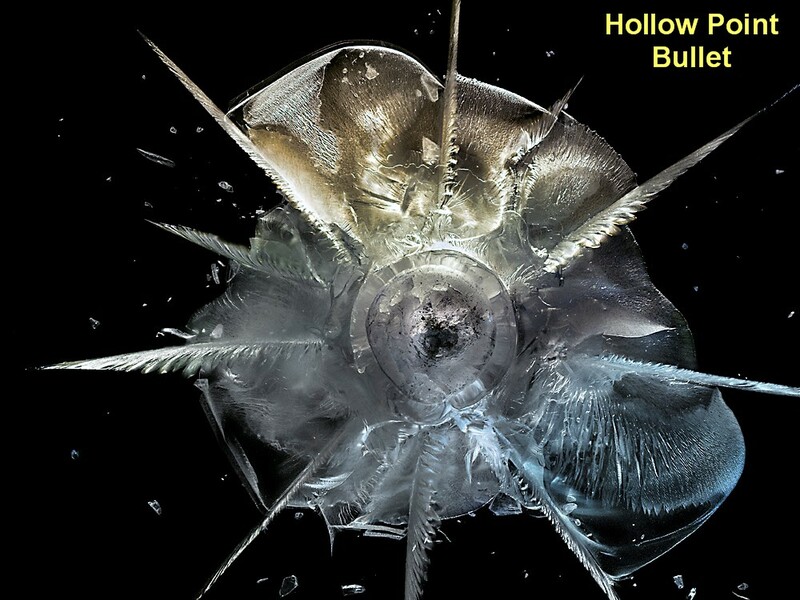 Hollow Point Bullets (HPB) have now become standard ammunition for Police officers, again because the bullets are meant to guarantee the target will be killed when shot. Another argument is that the HPBs do not continue after hitting the target while a conventional bullet might “over-penetrate”…go through the target and hit a bystander. Based on many studies, it has been established that almost half the bullets fired at a target by the Police, from a distance or in hot pursuit, go astray, meaning the chance of hitting a bystander are excellent no matter what ammunition is used. HPB has an entirely different purpose, it will “Stop” (kill or maim) its target, whether man or animal, immediately. 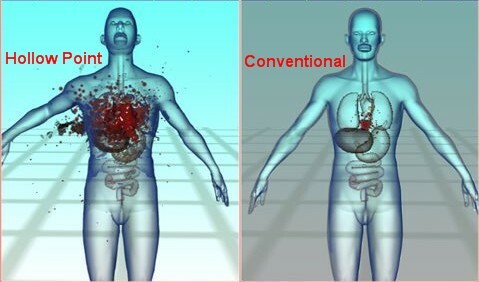 While a conventional bullet will drive through tissues and will shatter bones it encounters on the way, but it will generally, not kill or leave permanent injuries on the person unless it passes through the heart of other vital organs. This type of a bullet was considered so inhumane that it was banned in military use by the Hague Convention of 1899…yet, it is in common use by Police Departments almost all over the US and it is entirely legal for civilians to possess and to use..
A Hollow Point Bullet flattens as it enters the body and pieces of the bullet fly in different directions, leaving an effect as if an open blender had passed through the body. Shrapnel that flies in different directions also causes major injuries and with so many pieces chopping their way through the body, the target is unlikely to remain alive for long. HPBs have no other use than to kill their target. Consider a Police officer who has been trained to look at his duty as if s-he were entering a “War Zone”, they are told that “Officer Protection” (self and fellow officers) is paramount and they are told the best way to “Stop” a threat is to aim several shots at the head, heart and groin. These officers are told they must take control of all situations and give orders to their targets who, if they fail to comply, may be shot. These officers are in many cases, trained to look at certain minorities (usually African Americans) as criminals and threats. Is it any surprise that so many innocent civilians are killed by the Police every year? This militarization of the Police departments has taken a new turn since 9-11. Now the Police have at their disposal, millions of dollars to buy weapons and other material that so far, has remained solely the domain of the military. Almost drunk at the thought of owning and using these heavy arms, most Police departments have gone out to buy as many of them as they can, at subsidized prices, from the US Department of Defense. 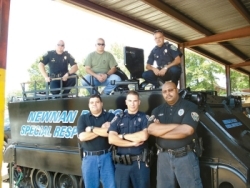 Why do Police departments need Armored Personnel Carriers? Portland Police has two of them. 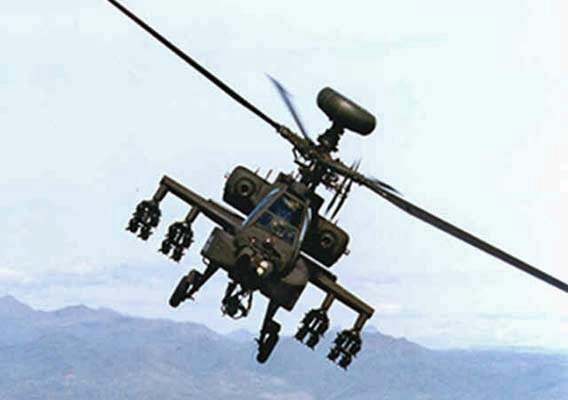 Why do Police departments need Apache helicopters that can simultaneously target and destroy 10-15 tanks from the air? Police in Brevard County FL, now have at least eight of them. 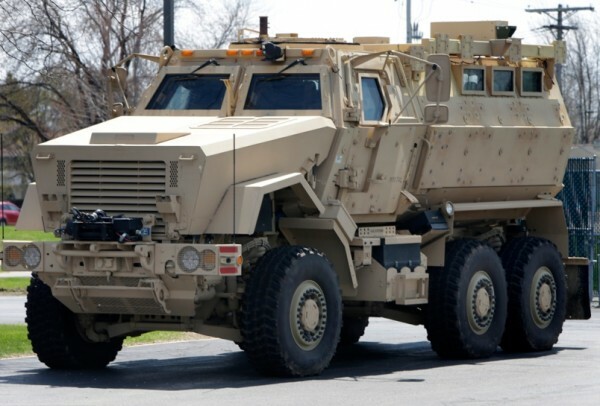 Why do Police departments need MRAP (Mine-Resistant, Ambush Protected) vehicles? It is now a part of the San Diego Unified School District Police Department’s arsenal. King County Police bought one last year, as did nine other Washington state counties. 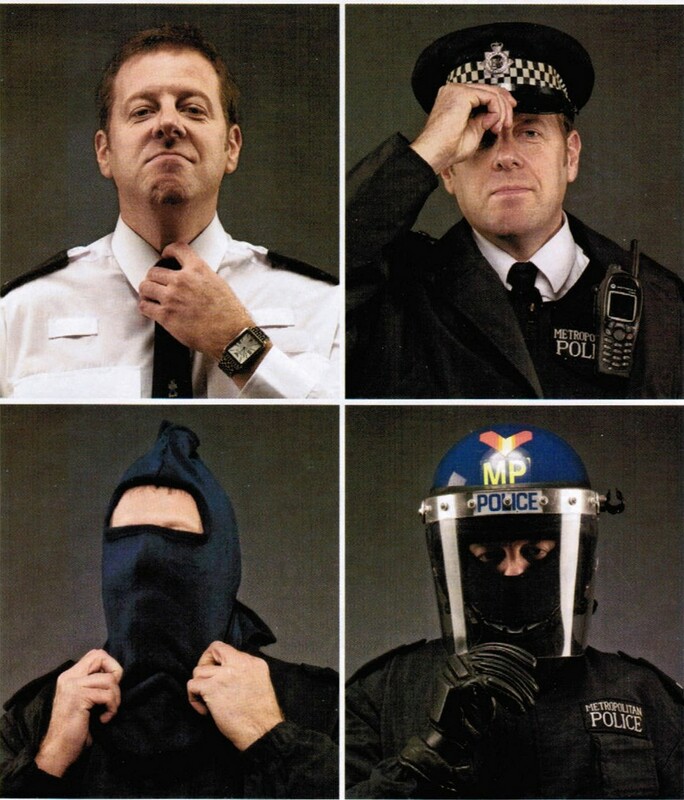 Study after study has shown that when Police appears menacing, they evoke hostile and violent reactions from the public, while Police that appears to be friendly and open, is seen as friendly and people tend to respect and cooperate with them (see pictures below). It is time for the public to demand the de-militarization of the Police, to end militaristic, training for our cops and to ban the use of ammunition whose only purpose if to kill and permanently maim its target. We need a Police force that works FOR us, that serves the civilian population and one that regards the live and liberty of civilians, to be their primary consideration in interactions with the public. A perfect example of the level of unfairness and anti-American hostile attributional and confirmation bias you suffer, Mr. Siddiqui. You’ve labeled a man a murderer and he hasn’t had benefit of a fair trial beforehand. Would you accept as such if a kafir labeled a Muslim a murderer based on media coverage such as you have here? Would you accept as such if a kafir labeled Muslims AS A GROUP violent based on media coverage and a personal opinion lacking context as you have here with the police as a group? Enough said, is it not? But I have forgotten — the Golden Rule doesn’t exist in Islam, so it’s no wonder you think such behavior is appropriate. And have you remotely thought of apologizing and reconsidering your vile position here based on new information on this case emerging? Nope – it’s not crossed your mind even once. If you were decent, polite AND somewhat intelligent, I would have approved all your other comments as well and responded to them on my website. Unfortunately, your comments prove you to be an unthinking bigot with limited mental capacity so, I will not sully my website with your comments, nor wil I grace you with further responses unless you have reformed your mind-set and expression. As far as my response to your current comment, you obviosly did not take the time to read or, understand my essay. It dealt less with the Ferguson shooting and more with how the Police is trained and what weapons thay have been given to use against the people they are suppoosed to SERVE.